Our Nourishing Gourmet catering crew was very lucky to provide the food for Lee Borthistle and Chris Wallace's wedding on June 10th 2017. 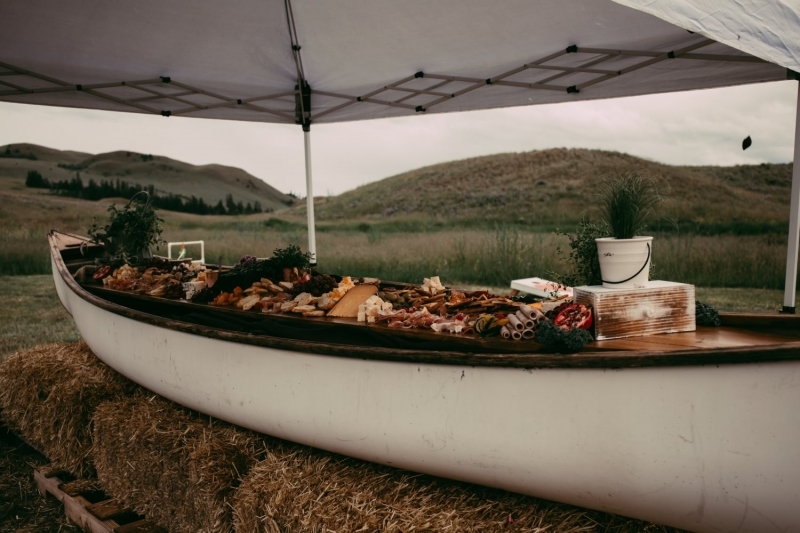 Inspired by nature and the outstanding outdoor location, Nourishing Gourmet created its first ever custom canoe antipasto platter on-site for guests to enjoy. Over 15 feet of premium italian meats and cheeses dominated this bountiful buffet. Roasted red pepper dip, homemade hummus and tzatziki gave everyone something special to dip their crackers and fresh breads into. Edible flowers sourced from our local catering gardens put the finishing touches on this masterpiece. 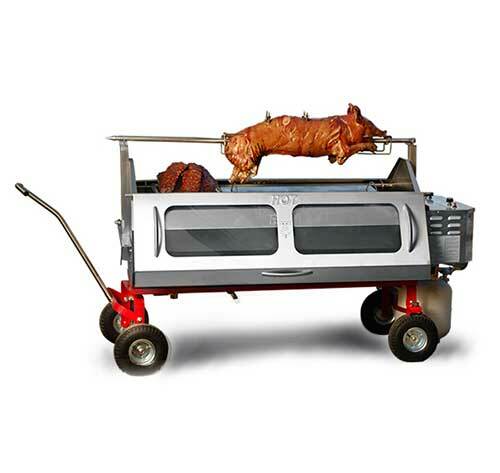 The catering team did not quit until everything was in its right place. Lee and Chris' guests enjoyed freshly cooked BBQ steak to order with fried mushrooms and onions. The hungry attendees then added a custom baked potatoe from the potatoe bar complete with butter, sour cream, chives, bacon bits and cheddar cheese! Fresh corn on the cob and many exquisite salads rounded out this wholesome, classic BBQ dinner. 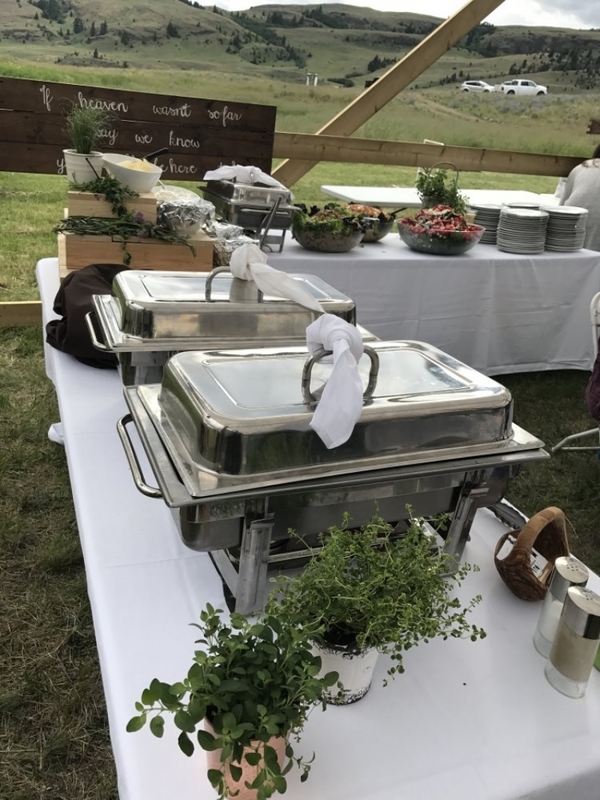 Despite inclement weather, Lee and Chris' wedding was an artistic work of excellence thanks to the beautiful scenery and live action BBQ steak grilling station! 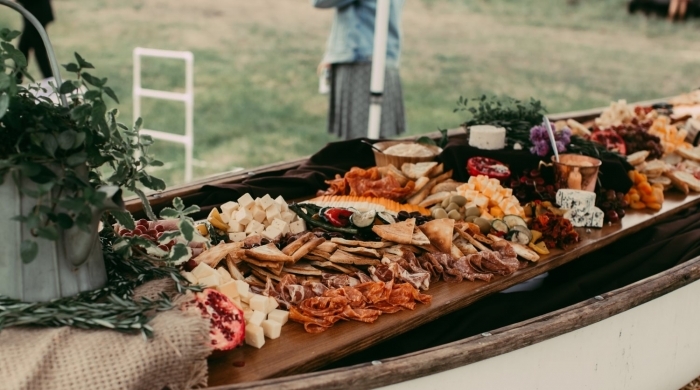 Are you still looking for a wedding caterer that doesn't stop until your food reflects the brilliance, dedication and determination of your love? 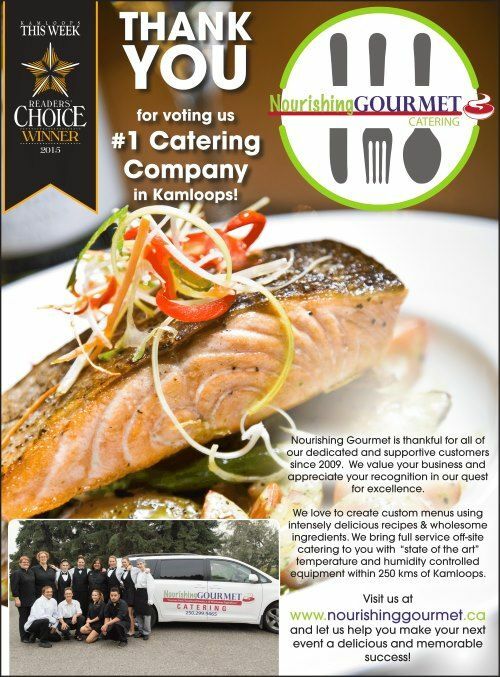 Give Nourishing Gourmet a call today!